Christian discipleship begins at birth. Everyone agrees with this. Yet, what is not inherently agreed upon is what birth to use as a starting point. Some would defend that true discipleship begins after the "new birth," or regeneration. Others would say discipleship begins at human birth. Some might find themselves in the middle of the spectrum. "It’s odd to me that people who publish pictures of their newborns wearing team colors would object to infant baptism; discipleship, after all, begins in infancy, as every football fan parent knows." This analogy, in particular, strikes a chord because of how vibrantly true it is to southern American culture. In Canada, hockey might be better. In the UK, football (the other kind) would be ideal. The reason this analogy is crucial is not because it makes moot the biblical discussion about infant baptism. The value of this analogy is that it reveals our inclination for individualism on matters of faith. With this analogy in mind, I would like to talk briefly about hyper-individualism in the church and the effect it is having. The analogy of sports indoctrination is helpful for a number of reasons. It reveals that we permit indoctrination on some things. We applaud it. We make jokes about it. We even expect it. But there is another aspect of indoctrination that we vehemently abhor it. We instead suggest that final arbitration on important things (aka not football) belongs to each individual after weighing all the evidence. This perspective has been applied stringently to matters of faith over the past couple centuries. Some of these applications have no relationship. Some are deeply connected. I will mention just a few. Christians are blessed with many church options and are now capable of choosing the church they most agree with — this has lead to a surge of "church hopping." In that vein, denominational switches are increasing as people gain access to accurate "evidence" about what others believe. A final negative example would be individuals who weigh the doctrines of the church, and religion/theism, and declare them wanting — atheism. For good or for bad, this perspective is ingrained in our modern cultures. There is a positive side of it — people should ask questions and seek answers. It is good for us to reduce how many things we blindly accept. In the positive examples, this attitude of stringently searching for Biblical truth is commendable. The Westminster Confession of Faith does say, "The supreme judge by which all controversies of religion are to be determined...can be no other but the Holy Spirit speaking in the Scripture" (WCF I.X). Reading the Scriptures and assessing what they teach is often referred as "being Berean." If Peter, an apostle of the Lord, found Paul hard to understand then we certainly will struggle from time to time. It should be apparent to the humble that being the final arbiter of every theological conviction would be both tiring and dangerous. Eventually, we should turn to teachers of God's truth to educate us and elucidate particular passages of Scripture that we find difficult. I could make the argument that primarily this should be the creeds, confessions, and catechisms of the church. My point, if infant baptism is rejected solely because the child is not the final arbiter of their religious beliefs then Pastor Cassidy's analogy is valuable. It reveals to us how firmly we desire autonomy and authority to interpret the Scriptures for ourselves. Ultimately, this mindset greatly affects how we relate to one another. This could develop a pride often disastrous to the church. So how can the church reign in this egoism? The solution is actually quite simple. We need to think less of ourselves. When Paul says, "I say to everyone among you not to think more highly of himself than he ought to think" (Rom 12:3) he is not merely referring to external characteristics. He is also not saying we should denigrate ourselves in our minds. He is saying we should take positive strides to thinking highly of other people. The emphasis is on decreasing our pride and increases our empathy and compassion for others. This includes the whole package of these people — what they think, how they talk, what they believe, and what they do. This is a tough saying on multiple levels. But given my introduction, I want to engage it on the intellectual and theological level. The church needs to think highly of others on matters of faith. One of the ways we can do this is to actively engage other people. This can be done in conversations and books. The pursuit of these engagements is found by listening. This will include engaging living and dead saints. It will include reading people from different denominations. Frankly, it even includes reading people who could not be more wrong. 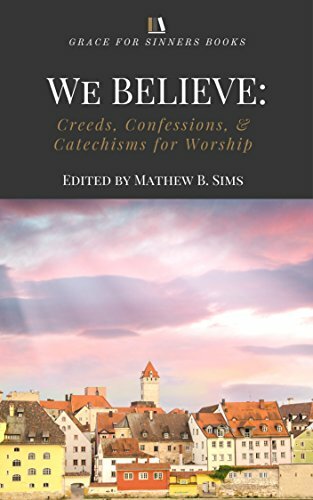 One of the best places to start this type of behavior is to read the creeds, catechisms, and confessions. In acquiring a general knowledge about different denominations and what they confessionally believe, our engagements with one another can be healthy. Your spouse (or any other family member) would not believe you care if you neglected to learn about them. This analogy has been applied to God and the Scriptures. But it also applies to those of us who seek to have conversations about matters of faith. If we want to think more highly of others than we must respect them and provide them our attention. Engagements of this sort will be humbling. It also allows us to think the best of one another. Reading each other charitably will not reduce the number of disagreements we have. But these disagreements, when handled properly, can produce healthy relationships. Potentially this would lead to fewer church splits, membership departures, and conflicts. Submission to church leadership and standards would reflect Scriptural instruction (Heb 13:7; Heb 13:17).